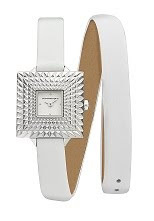 If you are in the market for a new watch, or are still searching for the perfect Mother's Day gift, take a look at these new spring/summer watches from BCBG, Kenneth Cole, D&G and Breil. 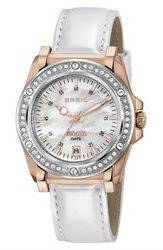 These watches are feminine and modern with a great fit, especially for a small wrist like mine. I don't know about you but as attached as I am to my phone, I always feel naked without a watch. 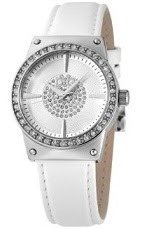 My favorite watch this season is the BCBG VIP Glam Auto (BG6330), $195. This watch has a croco leather strap, gold IP (ionic plating) stainless steel round case, bauggette stone bezel, silver white skeleton dial, three hand automatic movement and 36mm case. 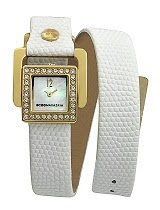 I am loving the white strap - it's perfect for summer! These touch screen watches are so city chic! The ladies watch has a rose gold IP case, white silicone strap, digital chronograpgh display, alarm, stop-watch and 32 city world time. This watch is perfect for the on-the-go traveler! The mens watch has a classic black perforated leather strap, steel bezel, and black read-outs. These watches are stylish, functional and great conversation pieces. What more can you ask for?